Charcuterie boards are my absolute favorite thing. If you’re not familiar, they typically have a variety of cheeses: soft, hard, mild, stinky… and different meats. There’s always a mustard, jam, nuts, maybe dried fruits, and a variety of breads and crackers. Delicious right? But William Sonoma changed my life on Instagram when they posted a candy charcuterie. WHAT?! I had to make my own immediately and you can too! 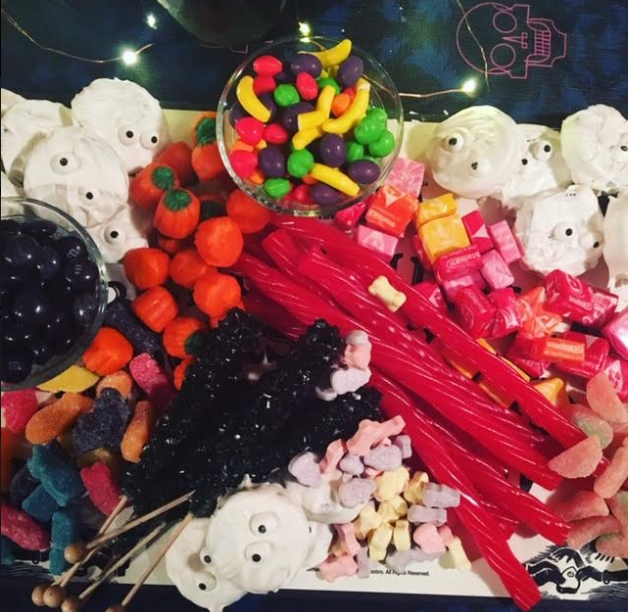 We had chocolate dipped oreos, sweet-tarts, candy corn, starbursts, sour gummy candy, M&Ms, salted caramels, runts, rock candy, and licorice. Honestly – it’s the BEST thing. Not mad about leftovers on this.